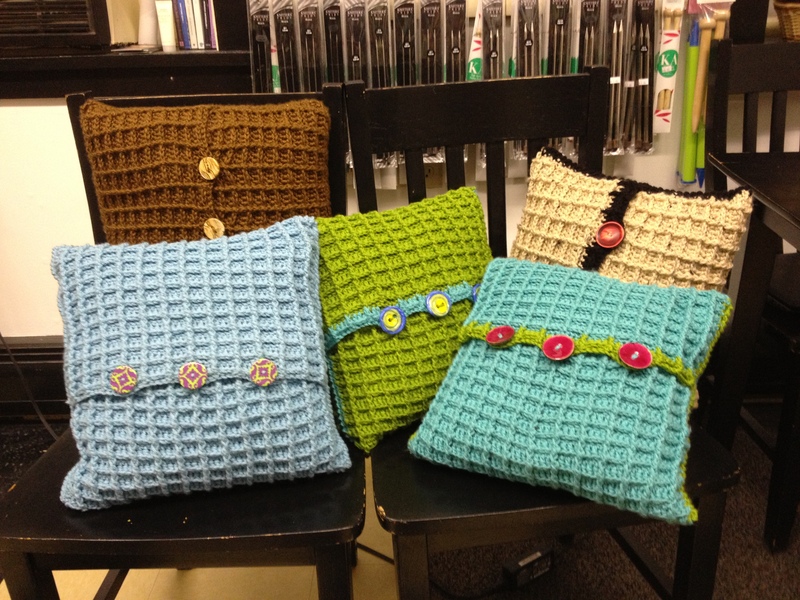 Look at some of the completed pillows from the crochet class I taught recently at my local yarn store. Don’t they look great? The students did a great job. It was a lot of fun to see how different they could look just by changing up the yarn and buttons! I really enjoy seeing the feeling of accomplishment that a person has when they complete a project. A couple students went on to make more than one pillow. I’m so proud! 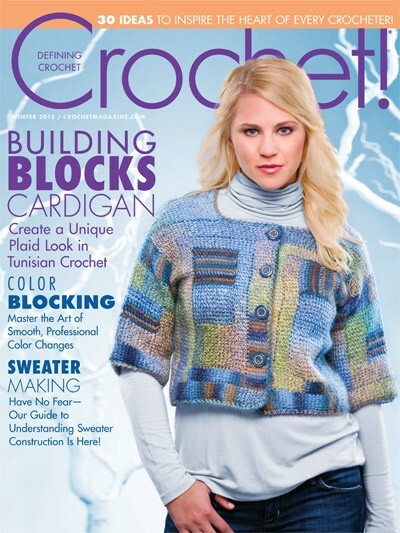 FYI – You can find my pattern for this pillow in the Winter 2012 issue of Crochet! Magazine. 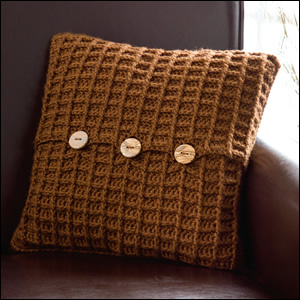 This entry was posted in Crochet, Uncategorized and tagged crochet class, Crochet Pillow, Crochet! Magazine, harvest home pillow.